The All-New Renault Clio: The icon of a new generation. 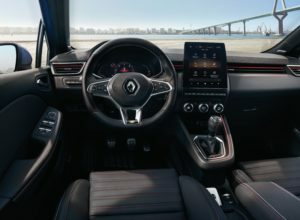 Designed according to the “Evolution and Revolution” principle, the All-new Clio rewrites the rule book with more mature body styling and an entirely revamped interior. Featuring more sculpted lines and a more assertive front end, The All-new Clio gains in vitality and modernity while remaining instantly recognizable, despite the fact that it comprises 100% new parts. Inside, the revolution is strikingly clear. 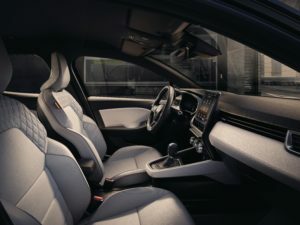 The completely redesigned interior is inspired by higher-end segments, both in terms of perceived quality and available technology. These strengths benefit all motorists, bringing them greater practicality and ease in use. 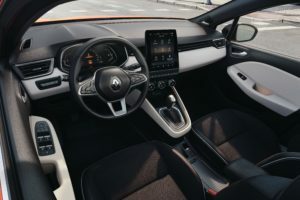 “The fifth-generation Clio is very important for us as it is the best-seller in its segment and the second best-selling car in Europe, all categories combined. The Clio is an icon, and the latest features the very best of the previous generations. 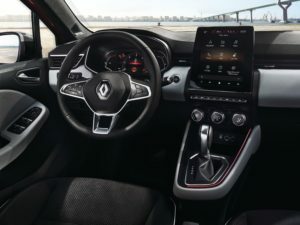 The All-new Renault Clio sparks an interior revolution.